The prices below are for Term 2 2019 which runs for 12 weeks from April 29 – 28 July. For full term dates, discounts, studio location, and more information, please scroll down! Classes do not stop during school holidays. Classes will still operate on public holidays. **Unlimited Class Passes allow students to enrol in six or more classes at a capped rate, but do not include private lessons, piano lessons, 6 week courses or workshops. The $30 Annual Registration fee applies to private students. Private lessons are available at $37.50 per half hour, or $75 per hour. Private lessons are extremely useful if you wish to access more intense one-on-one training to become a better performer, want to fast track your way through a level or a style, or are involved in competitions. Please contact the studio for more information. 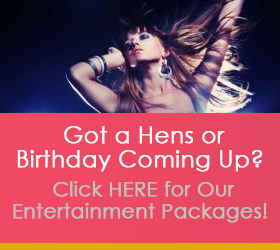 We have instructors available for most dance styles, drama, piano, and vocal training. Students are able to pre-purchase a block of five or ten sessions to any of our group classes for adults! Pass holders can attend any class at any point in the term, and passes are valid for six months from purchase date. After paying the $20 Annual fee, students can purchase any number of Multiple Class Passes throughout the year – a great option for those who want to try out multiple styles before enrolling, or students who need greater flexibility. Contact us to find out more. Please note: An annual registration fee of $30 per student is to be paid to cover administration, insurance and music licensing costs. This must be paid on commencement of classes. For more information about fees and enrolment at Lady Velvet Cabaret please read our terms & conditions. 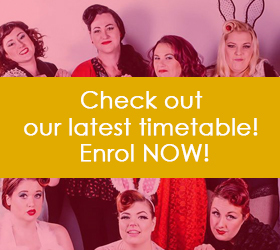 Lady Velvet Cabaret’s ongoing courses run each week in our central Subiaco location. The air conditioned studio is complete with dance floors, full length mirrors, ballet barres, and state of the art sound system. Find us at The WA Performance School, upstairs at the Western entrance to Lords Recreation Centre. Lords is located at 3 Price Street, Subiaco, easily accessible from Hay Street (turn into Tighe Street and take the first right into Price Street). There is plenty of onsite parking available at Lords.